Have you ever tried to explain your non-sporty friends, what Crossfit is? Those following infographics on training might help. Infographics, also called information graphics, are visual presentations of information around a certain topic. With a thought-through design, they can help with cognition: creating a clearer picture of subjects we are not so familiar with. Achieving your first muscle-up marks a certain point on every’s Crossfitters journey: you just upped a level. 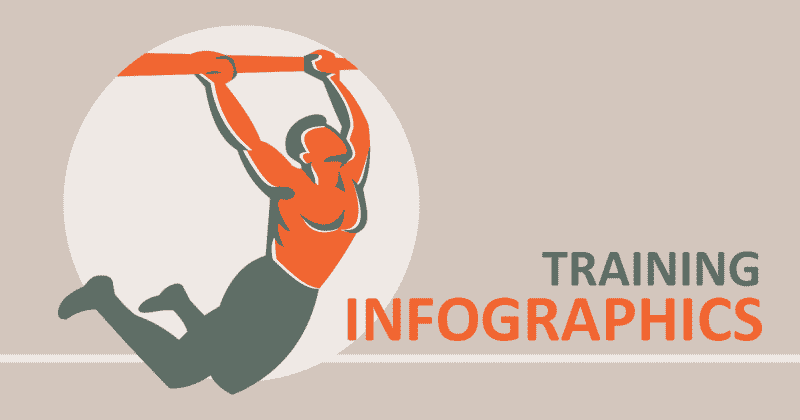 The infographic explains a a step-by-step approach to muscle-ups. All the girls in one infographic, divided into three categories: body weight, mixed and get heavy with barbells. Every woman should lift weights. No further discussion here. The graphic helps newbies watching their first CrossFit Games. For all you who love push-ups, this graphic shows a lot of different and interesting variations. Page: Olympic lifts, kettlebell and more.